Before deciding that your next home must be a fixer-upper, you should do some homework into what to expect when purchasing these types of homes. Many prospective homebuyers tend to have a romanticized version of the entire process, and are quite shocked when confronted with the hard reality. Fixer-upper homes can often represent a good deal, but there are some points that a homebuyer should be aware of before making that offer. I can make a “killing” in the real estate market by buying a run-down home, for tens of thousands of dollars less than the average home, fixing it up, and then immediately selling it for full price, or more. 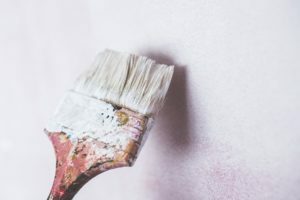 FACT: Most homeowners looking to sell their fixer-upper home understand that they will have to list their home at a price that reflects the cost involved in restoring the home to its original condition. I don’t need to bother with the added cost of a home inspection because I already know what I’m getting. FACT: a home inspection should always be included in an Offer To Purchase and Sell agreement, and it is arguably even more important to include one when you are looking to buy a fixer-upper. I can turn around and sell it for double the price I paid. FACT: A home will only sell for what the market can bare. What this means is that no matter how many upgrades were made, or how much money has been invested in the upgrades, a home will only sell for what the majority of homebuyers are willing to pay for it. I can make a lot more money by turning this single family home into a multi-family dwelling. FACT: While this statement is for the most part true, it may not be possible. Most towns and cities have strict zoning laws that not only dictate the maximum allowable occupancy within any given area. As with all investments, though, nothing is guaranteed. So when looking to finance a home, keep in mind that the real estate market has taken some big hits in the past. Never overextend yourself financially. If you have questions about purchasing a fixer-upper, or any home in Calgary and area, please contact us.